Making your own batch of wine is a labor of love which also requires an attention to detail. Slight hiccups in the fermenting or processing of grapes can turn a potentially sweet wine in to one that is bitter, acidic or just plain unappealing to even the most forgiving palate. 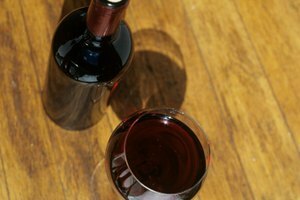 In the event your wine turns bitter, following a few simple steps may help you save that batch after all. 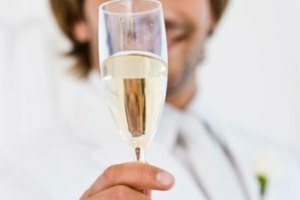 Consider the reasons that cause wine to turn bitter. 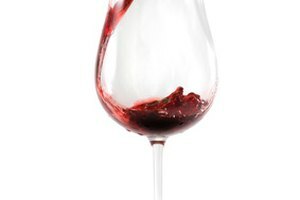 Understand that bitterness occurs when too much yeast, bacteria or unwanted sediment makes its way into a batch of wine. During the fermentation process, these unwanted ingredients ferment along with the grapes and can impart a bitter taste throughout the entire batch. Open up each bottle of wine that was made at the same time, knowing that every bottle has most likely turned bitter. 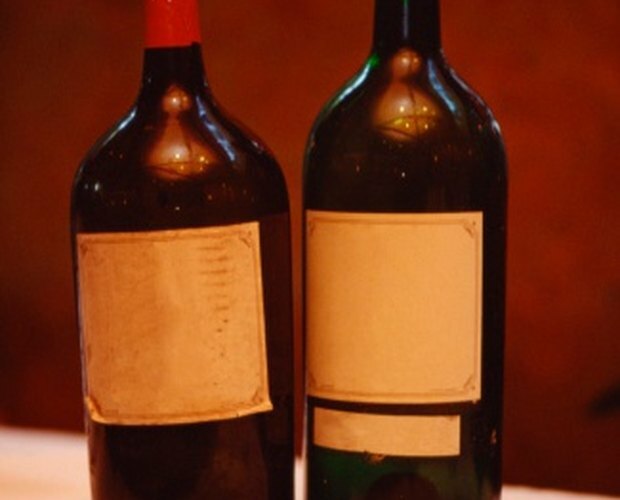 Take a sip of wine from each bottle to make sure that the bitter bottle was not just due to sediment in one bottle alone. It is possible for the rest of the batch to be fine and not require fining. 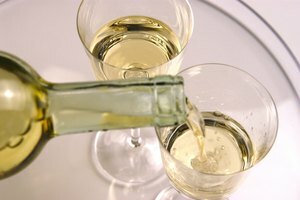 Prepare your kitchen or other area to perform the process of fining, which is the process for removing bitterness from wine. Begin by measuring how much wine you need to fix. Work in terms of gallons and use percentages of gallons so that you can get all measurements correct. Pour all wine in to a clean pot or container. Stir the wine together. Add 1 1/4 tsp. of tannin for every 5 gallons of wine and stir gently. Tannin is a plant based substance that is derived from dark hardwood trees. The tannin is added to the wine to help remove bitterness. Allow the tannin and wine mixture to sit in a clean location for a minimum of 24 hours. Taste the wine again to determine if some of the bitterness was removed by the tannin. If not, re-stir the wine gently and add 1 tsp. powdered egg white, casein, gelatin or isinglass to the wine along with 1/2 cup ice cold water. Stir and allow the wine to sit for one to two hours. You can use any of the fining agents which include powdered egg white, casein, gelatin, or isinglass interchangeably. Rapidly stir the wine which contains the tannin, fining agent and water. Bring the wine to a rapid boil. Turn off the heat. Stir the wine and store the wine in a dry, cool location for 15 days to allow the fermentation process to resume and the tannin to remove bitterness throughout the entire batch of wine. After the 15 days are up, stir the wine and ladle out a small amount. Hold the wine up to the light to see if the gelatin helped clarify the wine. Swirl the wine gently in the glass and take a sip to assess the level of bitterness that remains. Bottle the wine and store horizontally on wine racks in a cool and dark location. Remember to store the wine on its side so that any sediment that remains will rest at the bottom of the bottle and not be poured out with each glass. Use care when making wine at home if you have underage people around; never give homemade wine to those under the age of 21.